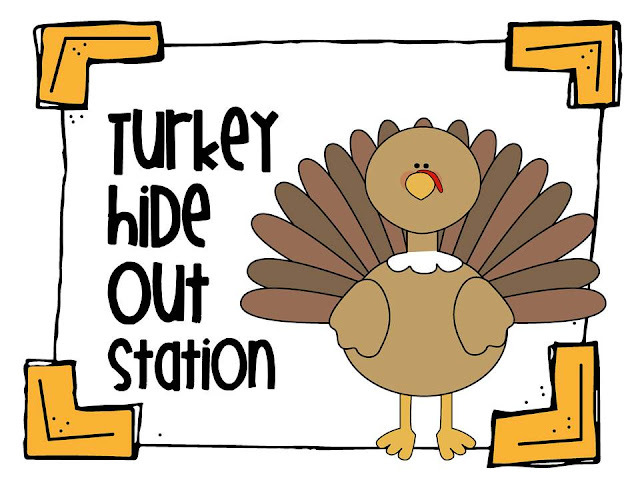 This next week, we have two days before we see a little break for Thanksgiving.The teachers are in their classrooms writing about what they are thankful for and getting in their last minute tests so that the students don't lose the information while they are on a bit of a holiday. 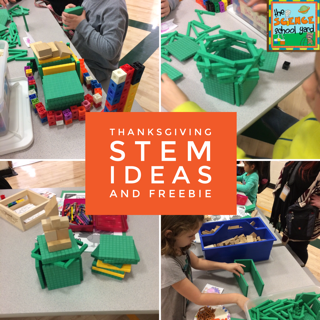 What a perfect time for STEM! STEM is science, technology, engineering, and math. What is so great about STEM activities is that you can tie in a great picture book along with a hands on problem solving situation. These activities don't have to be complicated, time consuming, or expensive. 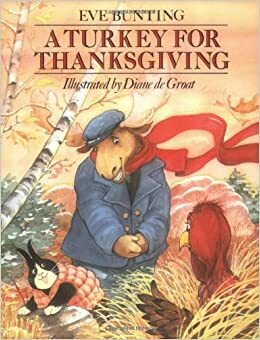 Take for example the book, Run Turkey, Run. Have the students use bo ops and Jenga, with a little art to make the scenery or setting of the story and you have a great hands-on way to teach a reading strategy. I use Jenga blocks and gift boxes along with a bit of tape and you are set to go! With my littles, all they need is a book like A Turkey For Thanksgiving and some math manipulative that you already have in your classroom such as 10's and 100 blocks, Unifix cubes, Legos, or even Jenga blocks again and you have a simple STEM idea in the works by having them make a hideout for the Turkey so he isn't eaten on Thanksgiving. If it's turkeys that you have had enough of, here in Wisconsin we are never short of some fresh cranberries! This fun new book shares with students how cranberries are harvested from bog to berries on your table. Grab a bag of fresh berries and boxes of toothpicks at the dollar store and you have an interactive way to tie in math structures and shapes. You could also taste test different cranberry products and vote on your favorites. You can also show your students why cranberries float...they have pockets of hollow space just like pumpkins! From craisins to cranberry juice this graphing activity can help you find ways to make learning right before a break fun for everyone! Follow the link for some Here is the Teacher Pay Teacher link: Cranberry Fun! Happy Thanksgiving to you and your family. May you all find something to be thankful for! I am thankful for all of you!